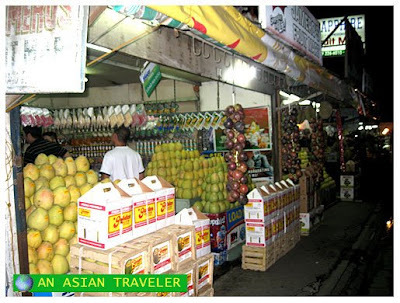 One of the reasons why I like Davao is the copious selection of locally grown delectable fresh fruits such as the pomelo, mangosteen, rambutan, mango, lanzones, pineapple, strawberry among others. 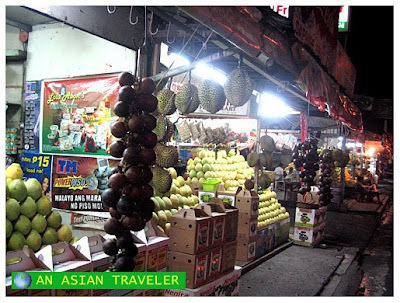 But the city is mainly famous for its exotic Durian, described by many as the fruit that "smells like hell, but tastes like heaven". Unfortunately, I'm not a big fan of durian. I guess this is an acquired taste. 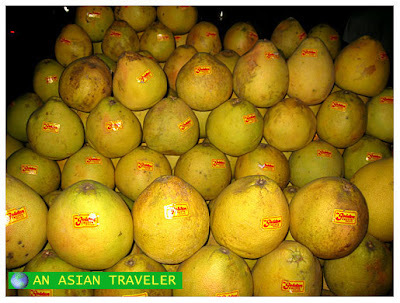 My ultimate favorite is pomelo, which has a sweet citrus taste and high nutritional value. We had our impromptu shopping spree and I almost oohed and aahed as I savored the best pomelo I ever tasted. 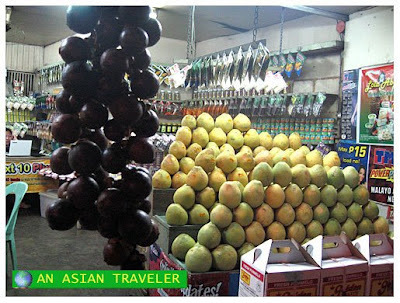 There are several roadside fruit stands in the city purveying of assorted high-quality fruits. They also sell a wide variety of sweet edibles made from durian and other fruits in season like candies, pastilles, jams and jellies. No wonder, Davao is dubbed as the "Fruit Basket of the Country". What's more, it is sold at a very reasonably priced and the blissful taste can't be beaten. What a treat! I love pomelo too! How cheap is it there in davao? Here in Manila, it cost at least a hundred bucks a piece. Hi Asian Traveler! TGIF and a holiday here! !